It was the last day of the Chelsea Flower Show on Saturday and another hot and tiring day, but somehow knowing that it was our last gave us an extra burst of energy and by the time the show finished at 5.30pm we really did feel quite sad to be dismantling the stand. It was a really brilliant week and we got such amazing feedback about the design and the craftmanship of the products that English Garden Joinery were showcasing – we even had someone interested in buying the whole stand! I think the most exciting thing for us was the Certificate of Merit that we were awarded by the RHS for the design and outstanding presentation of our stand. 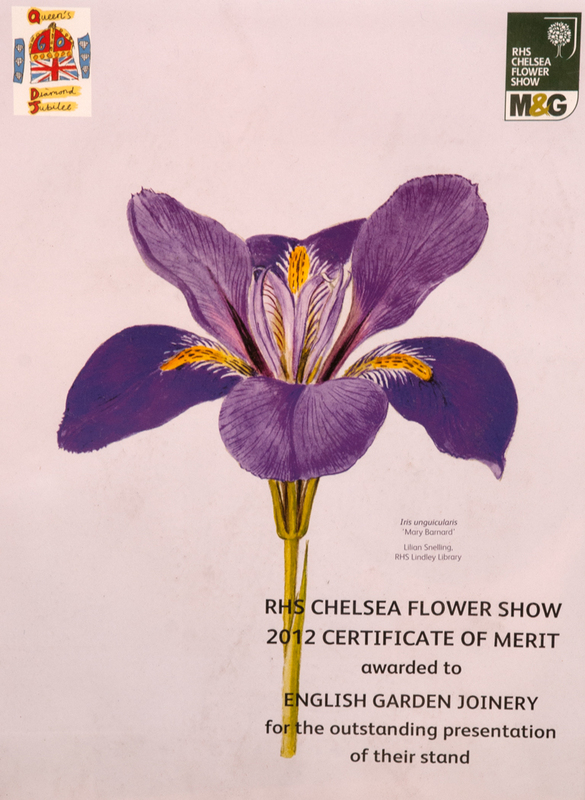 This was our first time at Chelsea so to be awarded the highest accolade for a stand of its size is really amazing. I think we were all so busy getting through the week that it was only yesterday that it really dawned on me just how well we’ve done! We’re already excited about exhibiting again next year and as it will be the 100th anniversary of the Chelsea Flower Show we’ll be creating something just that little bit more special. Rob Horton already has ideas for his next product launch! 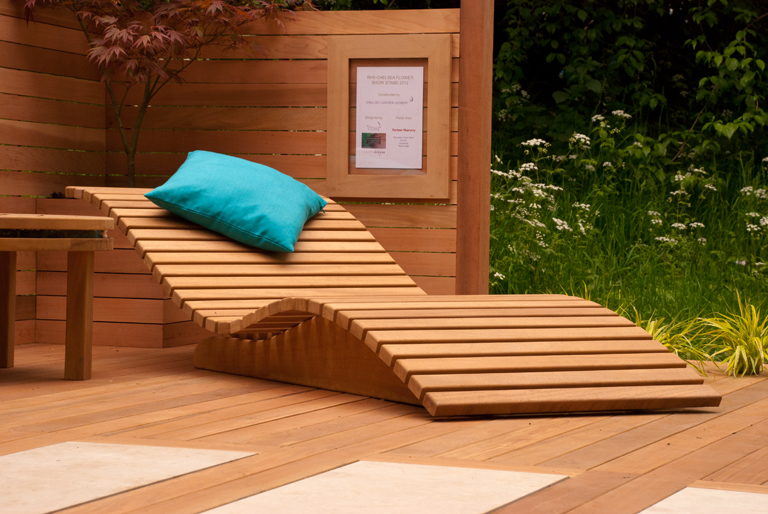 The rocking sun lounger really did go down a storm and if you’d like to learn more about it, you may wish to take a look at my post today on the HeartHome Magazine blog. Although the show is over, I still want to share my favourite gardens and thoughts about the show so I will be blogging about those later on this week. Nice article, I really like that chair in the 2nd picture. Gorgeous isn’t it – designed by Rob Horton at English Garden Joinery – it has a rocking action too!